Users may learn about ocean currents and the role the oceans play in storing heat and influencing global climate. 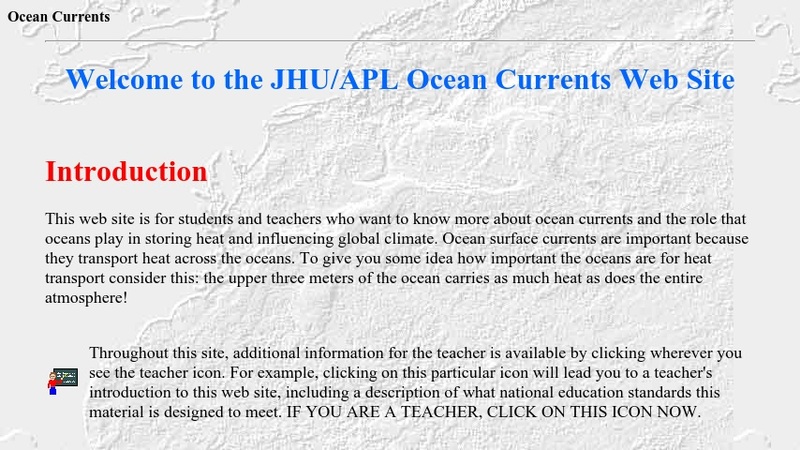 A special introductory section for teachers provides background information and links to classroom activities using the constructivist approach that demonstrate the mechanisms that drive the Gulf Stream, the Mediterranean Outflow, and the Great Ocean Conveyor Belt. For students, an interactive map provides links to descriptions of these ocean current systems with maps and descriptions of the mechanisms that drive the currents. Links to more detailed information are embedded in the text.